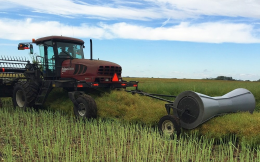 Protect your swaths from wind damage with a swath roller from Flaman. 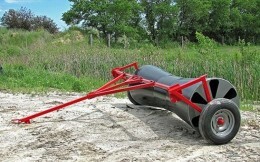 We carry two options from Koenders for your convenience: the tow behind and direct mount swath roller. Both options will effectively flatten and press canola into the stubble without bunching, thanks to their grooved, tapered drum. They’re constructed from heavy duty polyethylene – they will not rust or dent, therefore extending the life of the equipment. Berg’s tow behind swath rollers will also firmly press the side of the swath firmly into the stubble to prevent it from being picked up in the wind, leading to fast, easy and successful combining. It features a 14 gauge steel drum, heavy duty drum end plate, swivel hitch and its fully sandblasted, with epoxy primer and urethane paint. It doesn’t take much wind to do a lot of damage to your crop. A swath roller is a cost-effective addition to your line up that will save you the worry. Head over to your nearest of 9 Flaman locations, situated conveniently across Saskatchewan, Manitoba and Alberta, to speak with a member of our expert farm sales team to get more details. Looking for more? 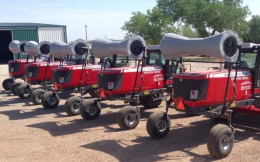 We carry a wide range of farm implements for your farming needs, and we’re happy to help.